Vitamin C as sodium ascorbate powder will also work well. Infants under 10 pounds can take 500 mg daily in some fruit juice, while babies between 10 and 20 pounds could take anywhere from 500 mg to 1,000 mg total per day, in divided doses. Older children can take 1,000 mg daily per year of life (5,000 mg for a 5 year-old child, for example, in divided doses). If sodium must be avoided, calcium ascorbate is well-tolerated and, like sodium ascorbate, is non-acidic. Some but not all children's chewable vitamins are made with calcium ascorbate. Be sure to read the label. Giving vitamin C in divided doses, all through the day, improves absorption and improves tolerance. As children get older, they can more easily handle the ascorbic acid form of vitamin C, especially if given with meals. For any child showing significant bowel sensitivity, either use liposome-encapsulated vitamin C, or the amount of regular vitamin C can just be appropriately decreased to an easily tolerated amount. 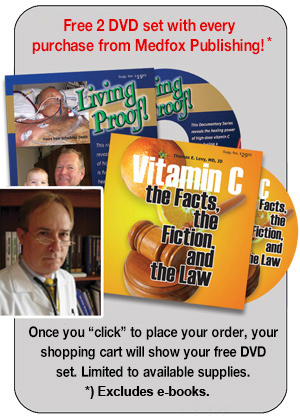 Even taking a one-time dose of vitamin C in the dosage range suggested above directly before the injections can still have a significant toxin-neutralizing and antibody-stimulating effect. It's just that an even better likelihood of having a positive outcome results from extending the pre- and post-dosing periods of time.